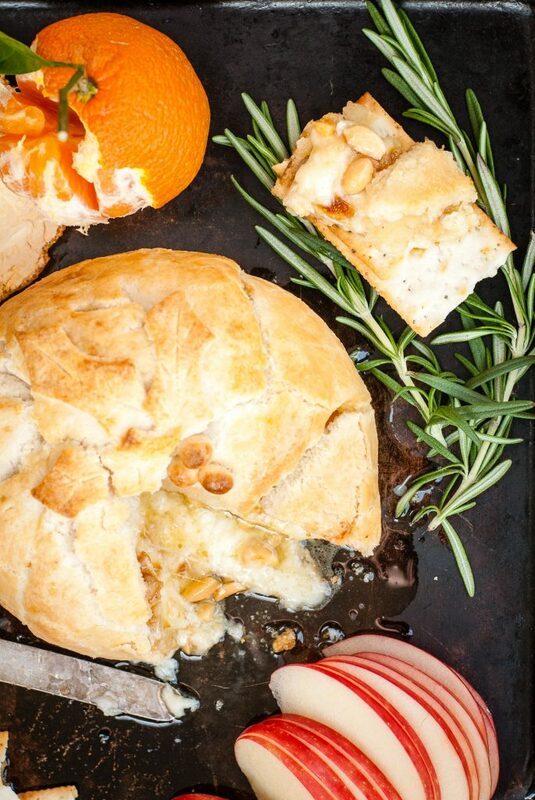 i am not sure if the lovely brie en croute is a trend this year (do any of you trendsetters know?!). but i feel like i’ve seen it everywhere. maybe it’s one of those things where you really want to buy a red truck, so you start seeing red trucks all over the road. well it’s true. all of those beautifully pastry wrapped cheese wheels i was seeing was also reminding me that they weren’t for me. yep, gluten. it is fair to say i haven’t had a bite of one of these in over 10 years. 10 years too long. so today i bring you not only a gluten-free, but a grain-free brie en croute with fig jam and marcona almonds. and a bright, little burst of lemon rind. this was gone in a matter of minutes at my house. serve it at your new year’s party this weekend. 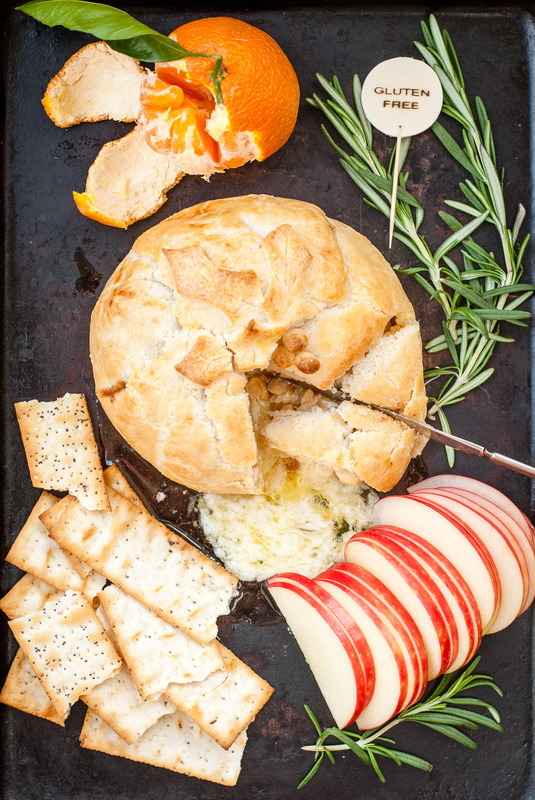 or just for your own-self if you’re loong overdue for a brie en croute fix! Combine almond flour, arrowroot starch, sugar, salt, xanthan gum, and baking powder in a medium bowl. Cut or stir in shortening until mixture resembles coarse meal. Stir in water to form a dough. Place Brie in the middle of the rolled out round. Spread 2 tablespoons fig jam on top of Brie. Sprinkle almonds on top of jam. Sprinkle lemon rind over almonds. 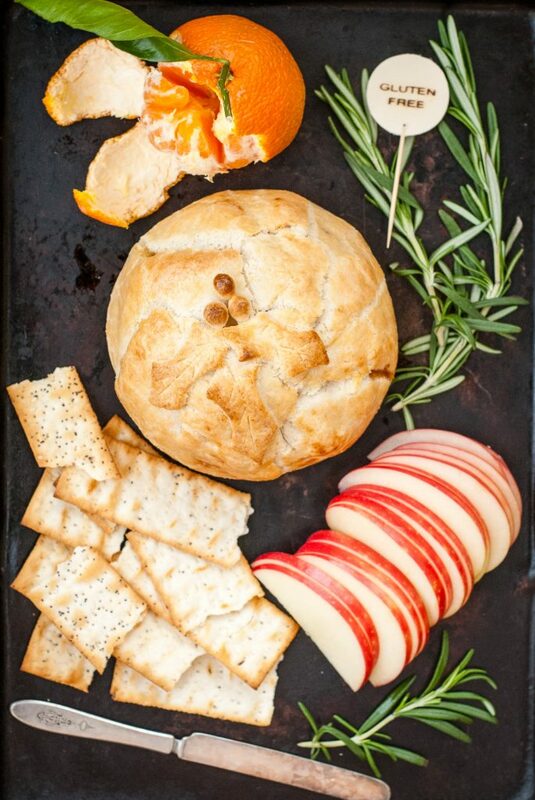 Transfer parchment with Brie to a baking sheet. Bake at 375° for 35 minutes or until golden.